United States: Vigils, rallies and marches were held around the US Monday for the victims of the deadly attack at a gay nightclub in Orlando. Police in many areas have promised heightened security for the events, which come during Lesbian, Gay, Bisexual and Transgender Pride Month. Under banners heralding the upcoming Pride Week event, people held hands and hugged. 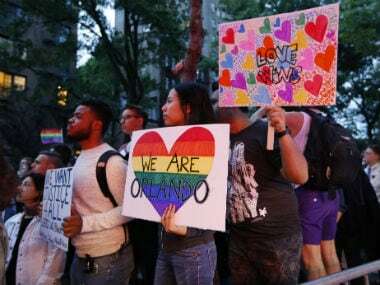 Some waved rainbow flags and others carried signs showing support for Orlando as they listened to a slew of elected officials, including New York Governor Andrew Cuomo and Mayor Bill de Blasio. 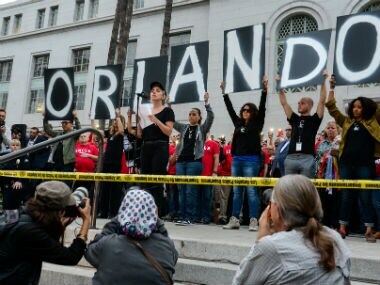 The vigil was held on the lawn of the Dr Phillips Center, the area's main performing arts venue. It's also the location of a makeshift memorial, where people have been leaving flowers, candles and notes for the victims. The rainbow colors of the gay pride flag flew on the side of the California Capitol and on the floor of the Senate – a first for the Senate, according to President Pro Tem Kevin de Leon, a Democrat. With other vigils and memorials also scheduled around the state Monday and Tuesday – and the Rhode Island Pride Festival expected to draw 40,000 people Saturday in Providence – police are planning to provide more officers, dogs and other security measures for the events. The Alaska House of Representatives stood for a moment of silence Monday to honor the Orlando victims, at the request of Representative Matt Claman, a Democrat. The Senate doesn't have a floor session scheduled until Thursday. The non-profit organization Maui Pride is holding a nighttime vigil on the beach in front of the Maui Sunseeker LGBT Resort. State and local officials will speak and Jaysen Giroux, a 14-year-old transgender boy, will recite a poem that he wrote after the attacks. In Honolulu, Rainbow Family 808 will host a gathering at Honolulu Hale, where the city government and mayor's office are housed, to watch as rainbow lights illuminate the building. Governor John Bel Edwards described the Orlando shooting victims as "our brothers and sisters" during a vigil with Louisiana's legislative leaders at the State Capitol in Baton Rouge. Boston Mayor Martin Walsh and Governor Charlie Baker attended the candlelight vigil at City Hall Plaza. Dozens of mourners converged on Metropolitan Community Church of Corpus Christi, where members of the South Texas coastal city's LGBT community comprise a majority of the congregation. 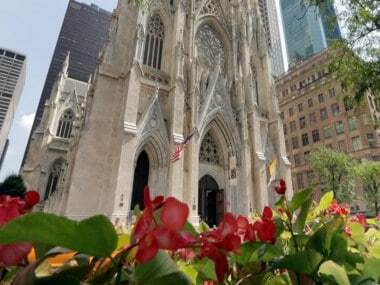 Deacon Andy Wilcox said bringing members of the community together was important for comfort and healing – "When you share a burden, it gets light.